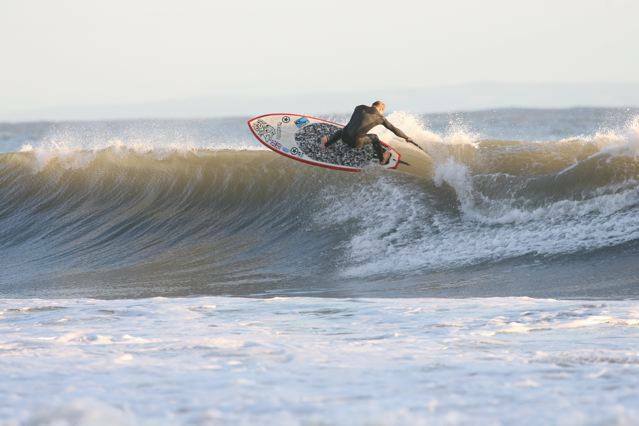 Matt Barker-Smith will need no introduction to anyone who follows the UK’s paddle surfing scene. A x3 national champion in waves and member of BSUPA’s Team GB Matt also owns and runs The SUP Hut (among other things). SUPM caught up with the Welsh ripper to talk about the ‘other side’ of Matt’s daily routine and where the SUP Hut fits into the UK’s stand up paddle retail picture. Tell us a little about the SUP Hut’s history – when did you set up shop and why? The SUP Hut was set up as we had started to sell more and more boards out of my shed at home and I came to the point where storing stock under a tarp just didn’t cut it! The building we’re in came up for sale and I was frothing after seeing it for the first time. The SUP HUT was set up in 2011. It’s a short walk from Swansea Bay and around 10 minutes’ drive to Langland or Caswell along the Mumbles road. There is a great park just next door which is awesome for a little lunchtime skate. Planning has just gone in to extend the shop making more room for customers / boards and the all-important coffee machine which will bring the local paddling community closer. Swansea Bay is usually a flat pond perfect for a sweep over to Mumbles at high tide. It’s a protected stretch but can get a lovely peeling wave if the swell is decent. A drive down to the Gower and Llangennith is 30 mins (our swell indicator beach). All year, but obviously spring and autumn will always have those better days with ideal conditions. Living next to a peninsula could not be better for finding the best spot on the day. I heard a surf shop owner once say: ‘my shop, my flavour’ which is something I’ve stuck to so I stock a variety of boards from high performance surf shapes, longboard SUP logs, distance and tourers and the obligatory range of iSUPs. Paddle performance is key for me so I stock the best I believe in. Is The SUP Hut all about its regulars or do you attract SUP customers from across the UK? No we service the entire UK. In fact, we’re Starboard’s top selling shop nationwide; helping regulars progress onto new boards. I’d love to say it will continue to grow, however, with the internet it’s hard for surf shops who have been there since the explosion of SUP to keep up with the clothing and wetsuit giants who now muscle in selling SUP to the masses. So from a shop perspective ’SUPport local’ for a sustainable future. I’ve been paddling a SUP since 2007; enjoying free riding and exploring. It took me a few years before my competitive side really emerged, so far as to say I’ve really enjoyed competing on the British SUP surfing scene the past few years and to hold onto three consecutive national titles is fantastic. This year the BSUPA series will definitely make me sharpen up on things if I’m to hold a fourth. I love SUP surfing and the competitions and I hope to break onto the racing scene at some point in the future. Well now, with a family it becomes harder to look at off the track destinations so they’re not on the radar presently. But if I’m to name somewhere it would be the island of Simeulue. Until the little man is old enough the delights of Barbados and Europe are as far as budget and timescales allow. Naish 10ft x 25” Longboard – this is actually a soft surfboard but rides great as a SUP with fantastic straight line speed to get out back and superb wave performance. Lokahi 7.3ft x 25” Concept – very small and tippy for my weight. I’m 2kg under its volume of 86Litres, but its insanely fast once on wave – good for cleaner days! Barker SUP customs – a few variations of the boards I ride for competitions 7.9ft x 26” and my new 7.7ft x 25” Network channel bottom. Always good to have a few backups. Paddles, with sponsorship from KeNalu, I’m currently loving the 74 & 84 Wiki, but the Quickblades we have in store definitely look the business. Yes we have a couple of supported riders. Emily King who is a lovely, kind lady who has the perfect paddling attitude and true grit is supported by us for her SUP racing endeavours. Dr Bryce Dyer is a notable lecturer in product design and avid paddler who is a great ambassador for Quickblade and The SUP Hut! Were always on the lookout for shop ambassadors, local or national. How do you think The SUP Hut contributes to the local SUP scene? We organise weekly (Wednesday’s when conditions allow) club paddle nights and organise a local SUP race series. We’re also waiting for our new piste style paddler’s guide booklet which will help budding SUPers choose the best spots. What about other fingers in pies – rumour has it you have your own local brew, have links to kitesurfing and have secured licence for a wake park? Yes the local microbrewery ‘The Pilot’ pub in Mumbles is run by Richard Bennett who we got into paddling last summer – he was inspired by his time on the water and introduced a ‘SUP HUT’ Indian pale ale which has gone down a storm. Rumour has it it’ll soon be available in cans. Our wake boarding business ‘Gowake’ reopens this year in Llanelli’s north dock which overlooks the Gower with fantastic views and some spectacular estuary paddling too. I still keep my finger in the kitesurfing pie and offer lessons, tasters and courses. Well a massive big up and thanks to the SUP Gower crew who support the shop and have loved the indoor pool SUP polo sessions we’ve put on this winter. Mmy wife for looking after our lil’ boy Oscar whilst I sneak an after work surf and Bobby for helping in the shop when I’m maxed…Mahalo!